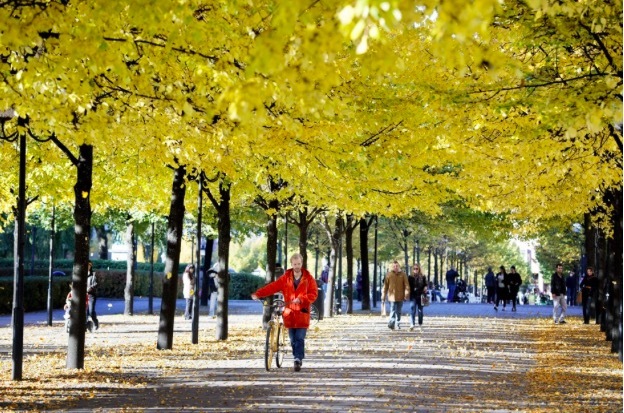 ‘Stockholm in the Fall.’ TT News Agency/Reuters. Accessed from the internet. While it is common knowledge that the Scandinavian countries are worldwide leaders in sustainable development, Sweden is at the top of the list for 2018. For 10 out of the 17 goals, they have either achieved them already or are on track to achieve them by 2030. What is most remarkable about Sweden’s development is their ambitious plans for clean and renewable energy, which they are well on track to achieving; a report by the World Economic Forum predicted they will achieve this goal by the end of 2018. The report credits part of this success to Sweden’s utilization of wind turbines as well as hydroelectric power. By December, Sweden will have 3,681 wind turbines installed, in which case they will have reached their energy target by the end of the year. Some of these wind turbines are being built by Norway as well, who Sweden shares a renewable certificates market with. Moving past the SDG goals, Sweden has set a further goal of 50% more efficient energy use by 2030, and 100% renewable energy production by 2040. The government has also declared a target of net zero emissions of greenhouse gases by 2045. Looking at trends, it seems like Sweden is likely to be able to meet these targets; in 1970, oil accounted for more than 75% of Swedish energy supplies whereas now it is around 20%. Swedish international aid goes toward countries in Africa, Asia, Europe, and Latin America. In addition to supporting the reduction of emissions, Sweden also helps with climate adaptation in many developing countries that are largely affected by climate change, specifically countries that rely on agriculture or fishing for their main source of food and income. Sweden is a global leader in foreign aid; they are setting an excellent example for other wealthy countries that are able to use a portion of their GDP to help others that are behind. According to the 2018 SDG Index, ‘many high-income countries are not making significant progress on issues related to sustainable consumption and production,’ and Sweden is no exception. The Swedish report for the High Level Political Forum 2017 states that responsible consumption and production was the largest SDG challenge for Sweden. While Sweden does have a high rate of energy consumption per capita, a large majority of their energy comes from clean and renewable sources. Considering that Canada is also a country whose citizens enjoy their heated homes, their vehicles, and various other energy intensive appliances, we are in a similar position that Sweden was once in. Sweden is proof that for a society accustomed to a lifestyle of high energy consumption, an effective way to offset the damages while not proposing a complete change in lifestyle is to use different types of energy. It is clear that switching over to renewable energy is a viable option that Canada should be looking into more. Environmental issues are unique in the sense that the consequences of climate change do not discriminate. Helping other countries meet their environmental SDG goals is beneficial for everyone in the end, and is critical for the well-being of the planet. Sweden’s ambitious energy targets and their efforts to far shows us that it is possible for Canada to do our part in increasing clean and renewable energy.